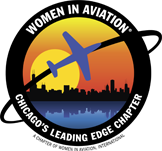 Join Chicago’s Leading Edge Chapter of Women in Aviation for our Annual Holiday Party! Each year our chapter donates aviation related toys to Toys for Tots. This will hopefully not only bring others joy but also encourage kids to love aviation as much as we do. Please bring one unwrapped toy to spread a little holiday cheer. Additionally, we’ve decided to add a little deliciousness to our evening by having a cookie exchange. If you’d like to participate, bring six of your favorite cookies together in a bag or container with recipe attached and swap for another member’s favorite! Looking forward to seeing you all there! Additional guests are welcome and encouraged so invite your friends! For directions, please click here. Please RSVP to chicagosleadingedge@gmail.com or on this event page by November 28th if you’d like to attend. Friends and family are welcome! We look forward to celebrating the holiday season with you!